Vi tilbyr et variert og innovativt utvalg av eple-og pæretrær: Vi utfordrer oss selv, til stadig å utvikle nye og eksklusive varianter. Gode polinatorer gir gode avlinger. Derfor bruker vi mye tid og oppmerkshomhet også på denne problemstillingen. Under et detaljert presantasjon av hvert eple-, pæretre eller pollinator i vårt utvalg, inneholder mye informasjon som : (opprinnelse, blomstringstidspunkt, anbefalte pollinatorer, frukt, smak, plukke tid og holdbarhet). 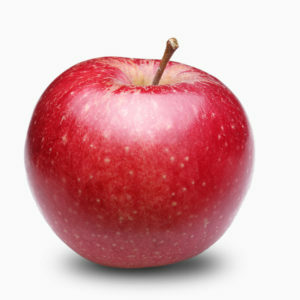 An orange-red apple against a yellow background. 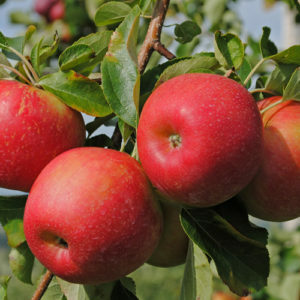 The fruits have a Cox’s aroma: sweet-tart. The flesh is a creamy white and fairly firm to quite hard. 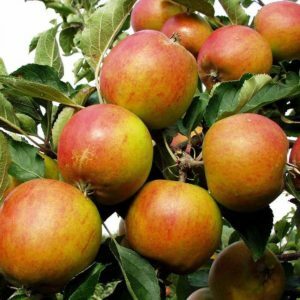 Ideal variety to make apple sauce. 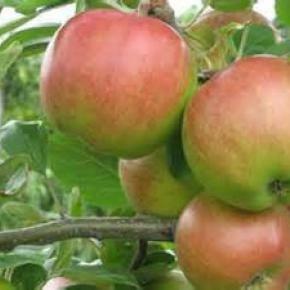 The variety was created in Germany as a cross between Geheimrat Dr. Oldenburg and Cox’s Orange Pippin. It was marketed in 1962. 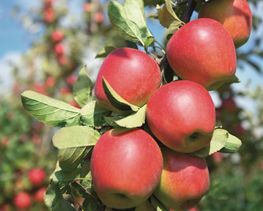 Alkmene should be picked from late August to late September and can be stored for a limited length of time – no more than a few weeks. Elstar x Delcorf Apache. Early blossom. 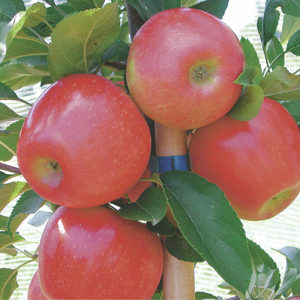 Large size fruit (75 – 85mm), uniform shape and size. 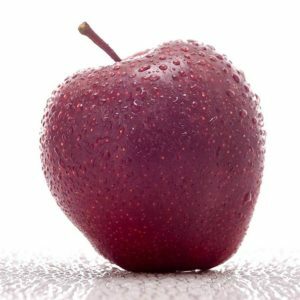 Firm and juicy apple. Sweet-tart and delicate aroma. Harvesting season: +/- 1 week before Delcorf Apache (early August). Good storage life for an early variety. 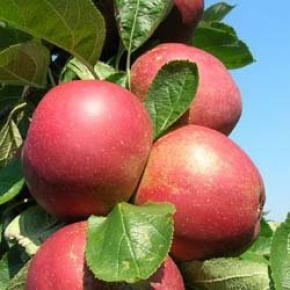 Juicy, sweet, fruit keeps very well. Chance seedling discovered in 1870 by A. Lucas in Blois, France. Harvesting season: early to mid-October. Will keep as far as late January only when mechanically refrigerated. Created by M. Bonnet in Bologne-sur-mer, France. Early blossom time. Medium-sized, spinning top-shaped fruit. 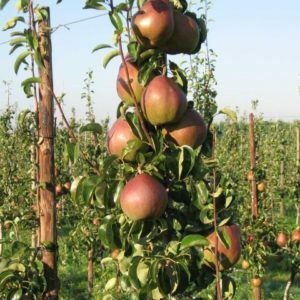 Short and wide, russet fruit. 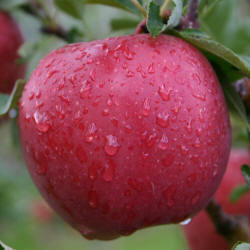 Soft, juicy with a sweet flavour. Harvesting season: early September. Will keep as far as mid-November. Colour mutant of Boskoop Schmitz Hubsch created by J. van Laar in Margraten (NL). 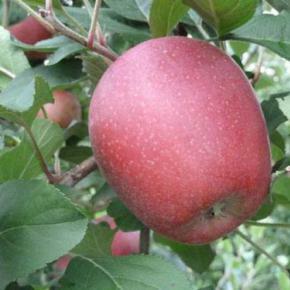 Evenly red, unstriped, medium sized fruit (75/85mm). Long storage life. Harvesting season: late September, early October. Mutant of Boskoop created by R. Quast in Hamburg, Germany. 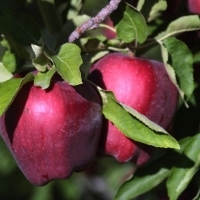 Intensely red fruit, evenly coloured with a yellowish green background colour. Early blossom time. Harvesting season: mid-September. Yellow mutant of Golden which is well resistant to russeting. Soft skin. Sweet flavour with low acidity. Harvesting season: mid-September. Suited for long storage life. Cross between Broket July and Williams. Discovered in Norway. 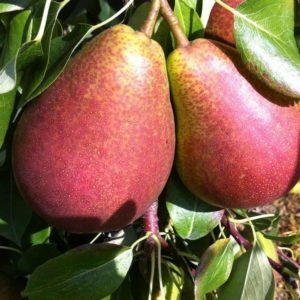 Very productive red summer pear. 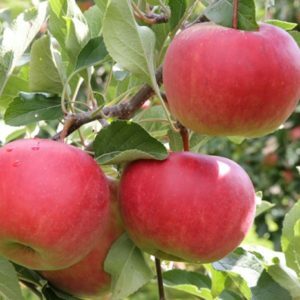 Crunchy, sweet medium sized fruit. Harvesting season: two weeks before Conference. Nice, smooth pear. Good shelf life. Harvesting season: 2nd week of September. Made for Thaddeus Clapp from Dorchester (Massachusetts), USA in 1860. 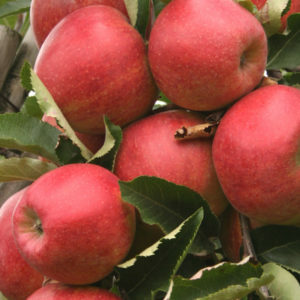 Large fruits with regular shape. Very juicy. yellowish green pear with a red flush, with a late blossom time. Slightly rusty colour around the stalk. White, juicy and sweet flesh with little aroma. 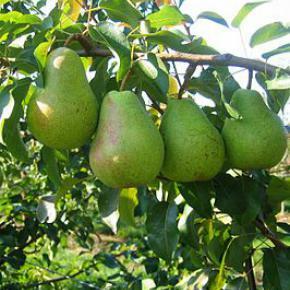 Harvesting season of this pear variety is in the second half of August. 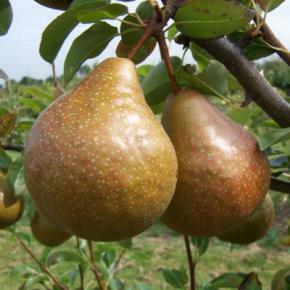 It is a typical summer pear with a short storage life. From Denmark. 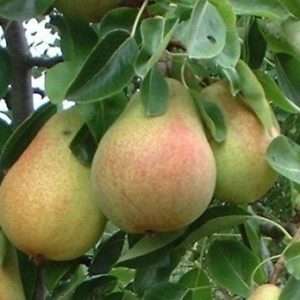 Medium sized pear with good amount of flesh. Harvesting season: mid-September. Will keep into late October. Cross between Priscella and Elstar. 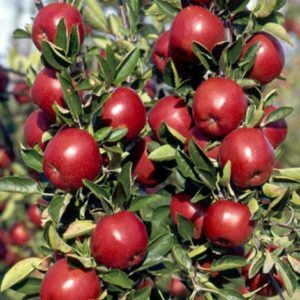 Bio-apple resistant to scab, mildew and tree cancer. 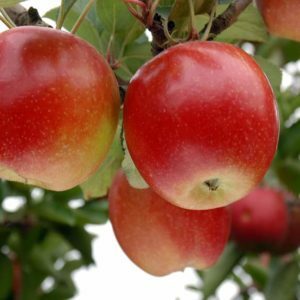 Crunchy, juicy apple with a crisp aroma. 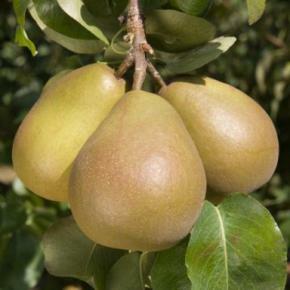 The Concorde pear is a juicy variety that is highly suited as a hand pear. 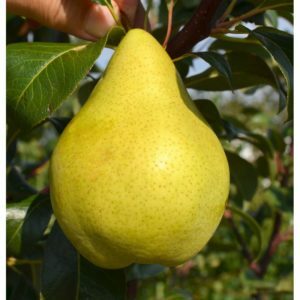 It is a firm pear with a remarkably good flavour. 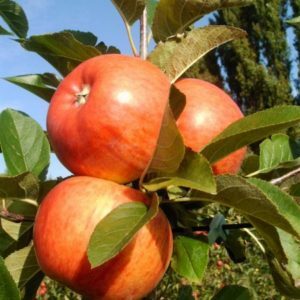 This variety is a cross between the Conference and the Doyenne du Comice. 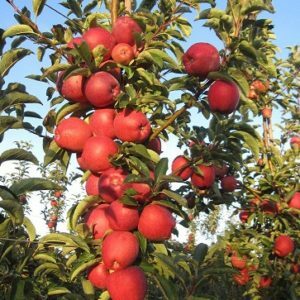 Harvesting is from the last week of September to around the first week of October. 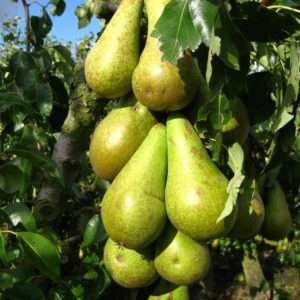 Condo is a green, self-pollinating pear with a sweet flavour. 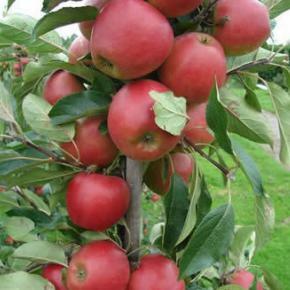 This variety is very productive, harvesting season is early October. Not suited for long-term storage. The Belgian product par excellence. 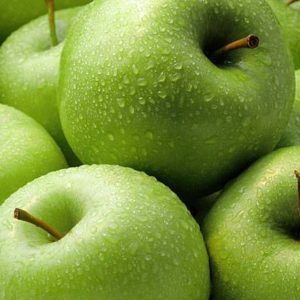 Green, firm and juicy pear. Harvesting season: early September. 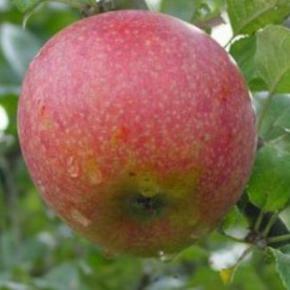 Colour mutant of Cox's Orange Pippin created by brothers P.G and J.A. Vroemen in Ulestraten(NL). Mid-season blossom time. Small, flat round fruit. Bright red fruit. Harvesting season: mid-October to early November. Acidic, aromatic and juicy fruit. 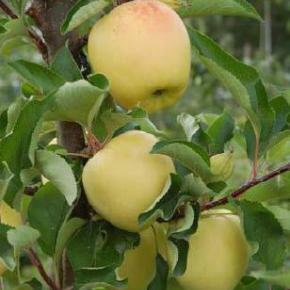 The result of a cross between Stark Jongrimes and Golden Delicious and introduced in 1974. 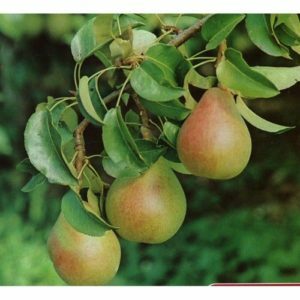 The variety was created by French plant breeding company Georges Delbard in Malicorne. 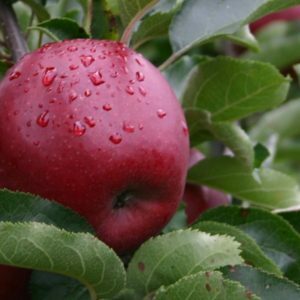 The Delcorf’s harvesting time sits between that of Discovery and Cox’s O.P. 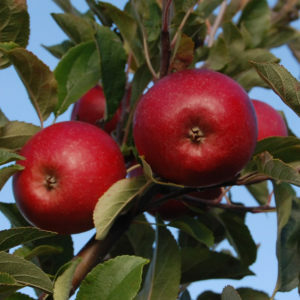 Depending on the year, it can be harvested anywhere from 10 to 15 August into early September. Standard Delcorf needs to be picked repeatedly because of its unduly light flush. Gala mutant with a mid-season blossom. 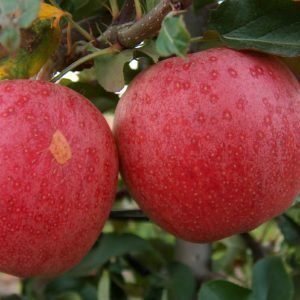 Intensely red apple with a 65-80mm fruit size. 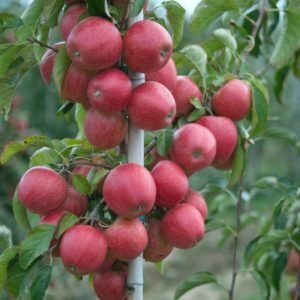 The most coloured Gala clone. 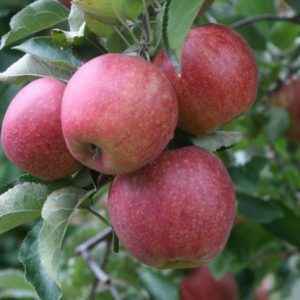 Crispy, juicy and sweet apple with early picking time. Will keep as far as December. Cultivated by the Maine & Loire horticultural society in Angers around 1840. 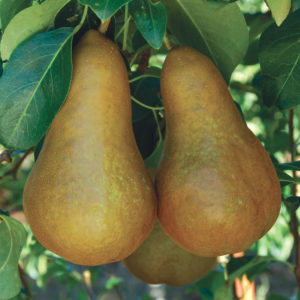 This extraordinarily juicy pear has a very sweet flavour. 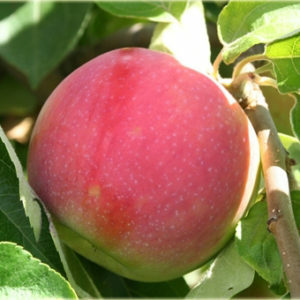 Doyenné du Comice is a plum fruit with a short stalk and a yellowish green colour with a russet flush. The flesh is white. 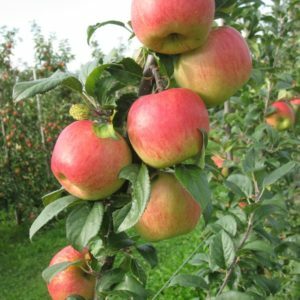 The harvesting season runs from late September to the second week of October. Cultivated (24) in 1811 by beer brewer Charles-Louis Durondeau in Tongre-Notre-Dame in the province of Hainaut. Very fertile and regularly fruit-bearing. 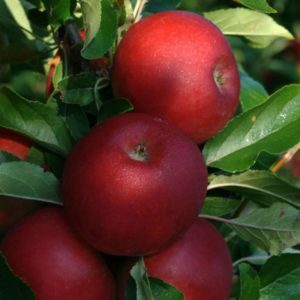 Just picked, the Durondeau has a rough, dark green skin with russet flush. As it matures, it takes on a warm gold-coloured skin. The flesh is white. The Durondeau has a typical, bitter flavour. 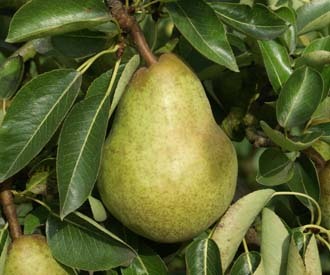 When harvested in September, this pear can only be used in the kitchen. 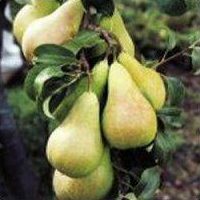 From October, it makes an excellent dessert pear. The harvesting season starts in mid-September. Mutant of Boerekamp Early Queen®. Created by the Boerekamp family from Someren (NL). To be picked in early September. Early to mid-season blossom. Mutant of Elstar created by W.L.A. Boerekamp in Someren (NL) in 1986. 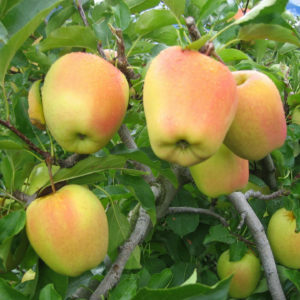 Regular-shaped, hard fruits. Firm, juicy, creamy white flesh. Will keep into late April. Harvesting season: third week of September. Early colour mutant of Elstar, created by F.H.J. Bougie in Spaulbeek (NL). Red flush with yellowish green background, without russeting. Will keep as far as May. Harvesting season: early September. Colour mutant of Elstar created by F.J. Elshof in Zeewolde (NL). Mid-season blossom time. 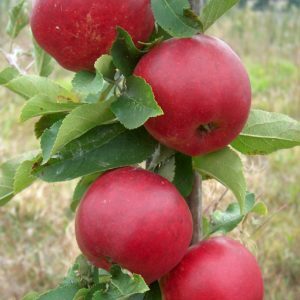 Dark, evenly red fruit. 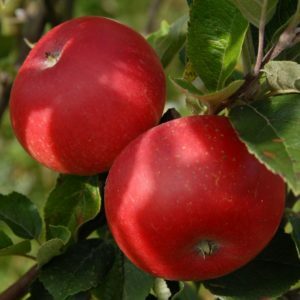 Unique aroma and very tasty apple. Harvesting season: second half of September. Will keep as far as March. Large-sized red mutant of Elstar. Even and homogeneous colouration. Harvesting season: late August, early September. Low sensitivity to rotation. Mutant of Fuji created by Thomas Braun in Süd-Tirol (IT). Late blossom time, highly frost-resistant. Ruby red stripes, glossy fruit. Sweet, crunchy fruit. Harvesting season: mid-October. Keeps well. South-African origin. Variety discovered by Buks Nell. Mid-season to late blossom. Dark red and elongated fruit. 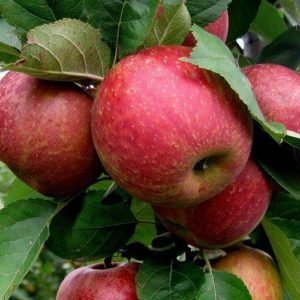 Crispy and sweet apple. Harvesting season: mid- September and long storage life. Striped mutant hails from the south of France. Harvesting season: second week of September. Keeps well. Dark red unstriped Gala. Mutant from Gala Schniga®. Harvesting season: early September. 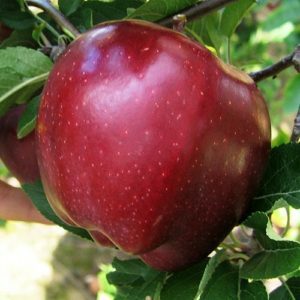 Medium-sized, dark red apple. Red around the entire fruit. Harvesting season: early September. Mid-season blossom time. Mutant of Gala Schniga®Schnitzer. 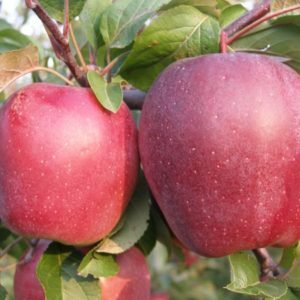 Very productive dark red to purplish red ware apple. Moderate to fairly good crispy-tart flavour. Harvesting season: late September to early October. Will keep as far as late May. 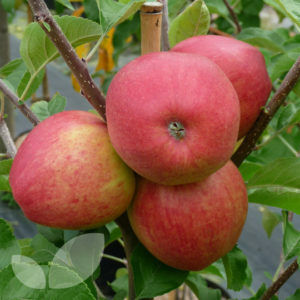 Chance seedling, believed to have been created from a cross between Grimes Golden with an unknown variety. Quite strong head growth. Mid-season blossom; quite late. Good quality and self-fertile to a degree. 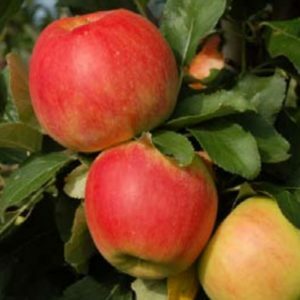 Early variety and low sensitivity to rotation. 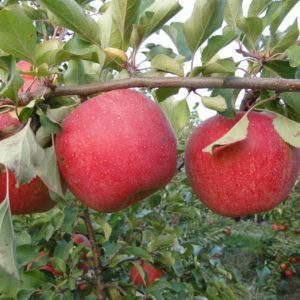 The harvesting season runs from late September to the fourth week of October. 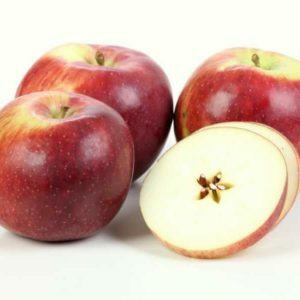 Medium sized fruit, regular shape. 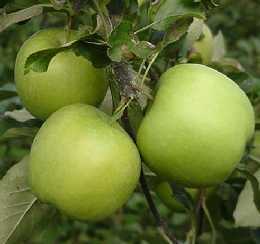 Greenish yellow fruits, which take on a yellow colour over time. Some years may see pronounced fruit skin russeting. The flesh is quite firm and mildly tart. 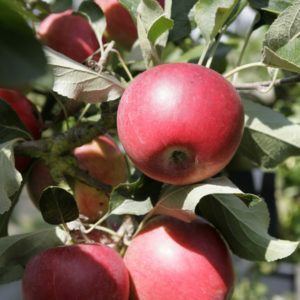 This variety can be stored into mid-January, in ULO until late June. Good shelf life. Created by M.H. Reinders in Helden-Panningen (NL) in 1962. Yellow to greenish yellow fruit. Smooth, medium sized fruit. Rather late blossom. Harvesting season: mid-September. 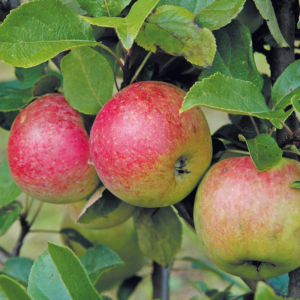 Golden Delicious x Cripps Pink. French origin. 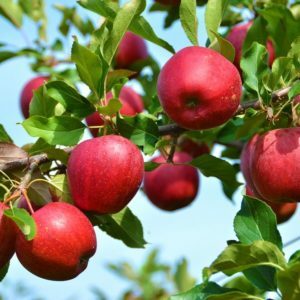 Blossom time is slightly later than that of Golden Delicious. 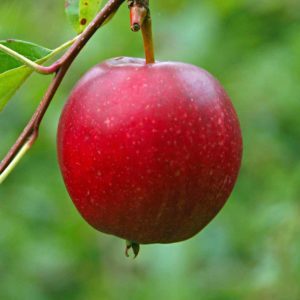 Deep red (80 - 90%) fruit on a yellowish green background. 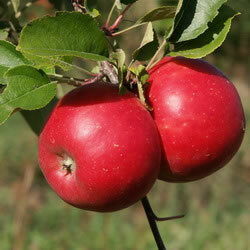 Sweet and very juicy fruit with a delicate aroma. 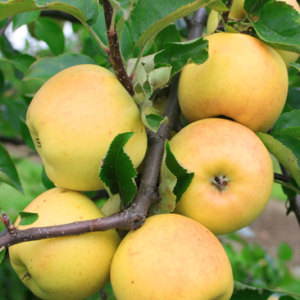 Harvesting season: concurs with that of Golden Delicious (in Belgium). Excellent storage life and shelf life. Created by T. Smith Ryde in New South Wales in Australia. Green regular fruit with clear lenticels. Refreshingly mildly acidic, juicy and crunchy. Harvesting season: late October. Cross between Jonathan and Wagener. Created by L. Verner in Idaho (VSA). Medium-sized, round-shaped dark red fruits. Fine, sweet and crispy flavour. Harvesting season: early October. Will keep as far as March. Colour mutant of Jonagold created by H. Veulemans in Glabbeek (BE). Mid-season blossom time. Nuanced dark red flush against a green background. 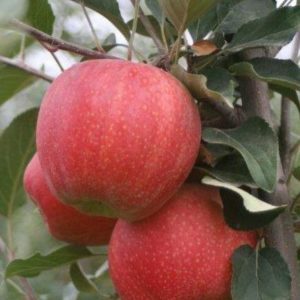 Large, firm apple with excellent flavour. Harvesting season: late September to late October. Will keep as far as June. 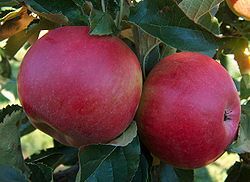 Large uniform fruit. 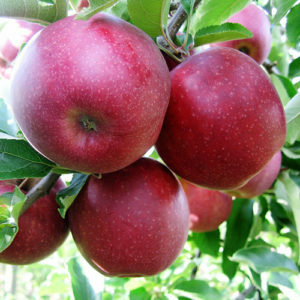 Very sweet, crunchy and juicy fruit. Good shelf life and will keep for a long time. 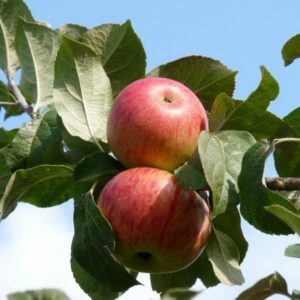 Harvesting season: two weeks before Braeburn, mid-October. Licensed variety of which ABCz Group is the licence holder. Mid-season blossom time. Self-pollinating variety that is scab-resistant. Nicely round apple with a 70 - 80mm size grading. Well-balanced sweet-tart flavour. Crunchy and juicy. Harvesting season: mid-September. 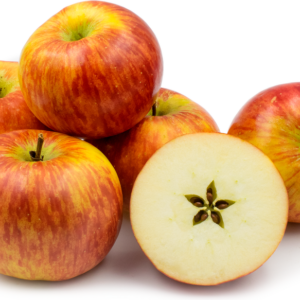 Storage life and shelf life are comparable to those of Elstar and Golden Delicious. Mutant of Braeburn with a rather early blossom. Discovered in New Zealand. Dark red fruit with yellowish green background. Almost the entire fruit is coloured. 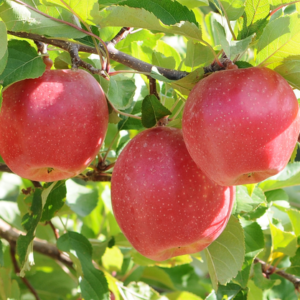 firm flesh and average fruit size. Mildly tart, typical braeburn. Harvesting window: from mid-October to early November. Will keep as far as March/April. 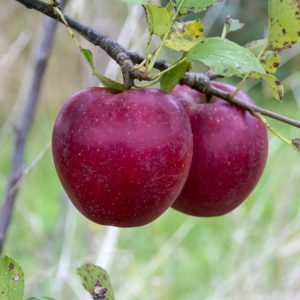 Dark red very sweet apple. Crossed by Jean Moors. 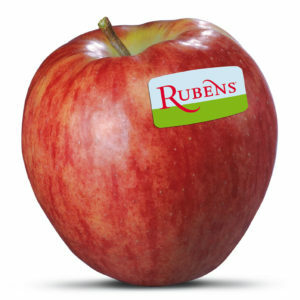 Club variety marketed by the Belgische Fruitveiling (BFV) (Belgian Fruit Auction). Harvesting season: early October. Jonagold mutant created by J. Morren in Halen (BE). Mid-season blossom. 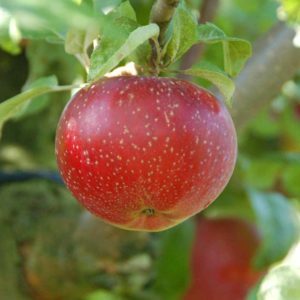 Intensely red colour, with less colouration the fruit takes on a distinctly striped appearance. Crunchy, juicy, crispy tart flavour. Harvesting season: third week of September. Long storage life. 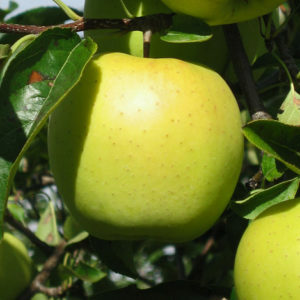 Cross between Delbare Estivale and Granny Smith. 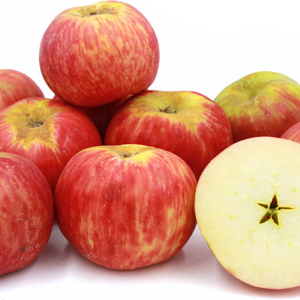 Crispy-tart apple packed with vitamin C. Plum, large conical fruit. Harvesting season: October. Will keep as far as June. 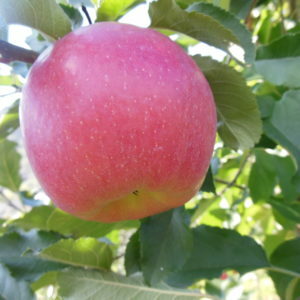 Cross between Gala and Braeburn. Developed by KU Leuven and Johan Nicolai NV tree nursery. 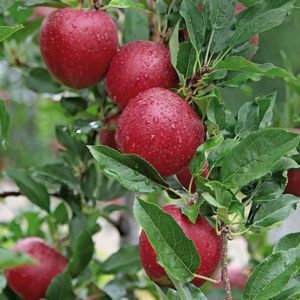 Large fruit with smooth skin and red flush. Harvesting season: late September. Mid-season blossom. Cross between Clivia and Golden Delicious. 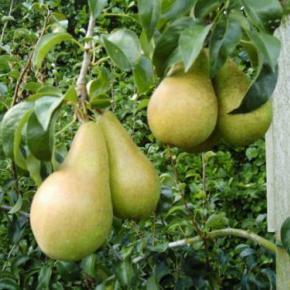 Round fruit, inclined to nose formation. Red colour on a yellow background. Juicy, sweet fruit with a slightly acidic touch. Harvesting season: late September. Will keep as far as April. Red mutant of Jonagold created by the Princen brothers in Weert (NL). 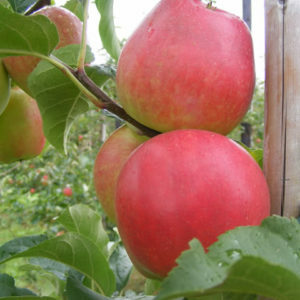 Deep red without stripes, large size fruit. Keeps very well with good shelf life. Harvesting season: after Conference, second week of September. 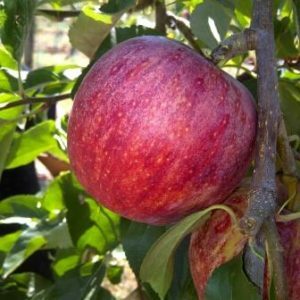 Red Topaz has the same properties as Topaz, the difference being that it has a slightly darker colour and is ready to be picked slightly sooner. Dark red mutant of Elstar. Mid-season Blossom. 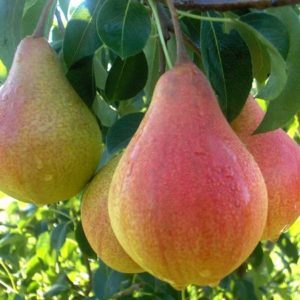 Sweet-tart, very aromatic fruit. Harvesting season: late August, early September. Pinova mutant discovered at Pflanzen Hofmann plant nursery in Langensendelbach (Germany). 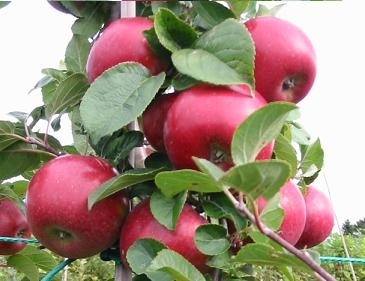 Early colouration, orange to reddish flush, high percentage of well coloured fruits. 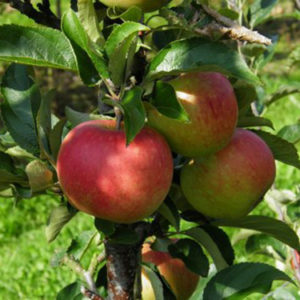 Medium to large, cylinder-shaped fruits. Pleasantly sweet-tart with a firm aroma. 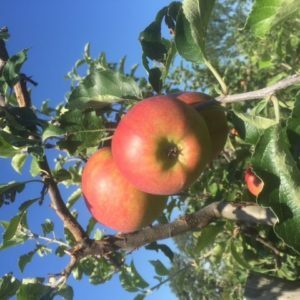 Harvesting season: after Golden Delicious, late September. Cross discovered by the Canadian Department of Agriculture in Summerland, Canada. Early blossom time but low sensitivity to spring night frost. Conical, rather small fruit. 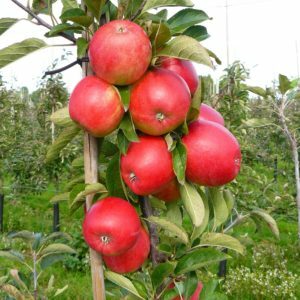 Nicely red colour around the entire fruit. 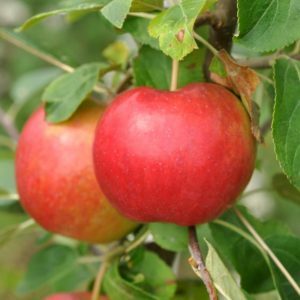 Crunchy fruit with good sweet/tart balance. Harvesting season: late August. Not suitable for storage. Red mutant of Doyenne du Comice. Red striped pear with a greenish yellow background. Harvesting season: second week of September. Queen's Forelle is a cross between Nordhäuser Winterforelle and Madame Verté. 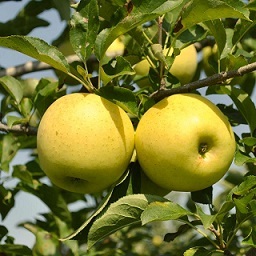 The variety was cultivated by Manfred Fischer in Pillnitz, in greater Dresden. 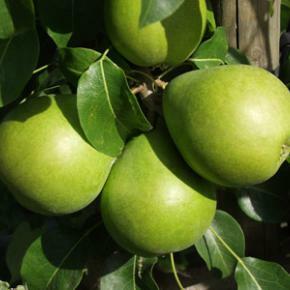 Queen's Forelle is an elongated green pear with a red flush. 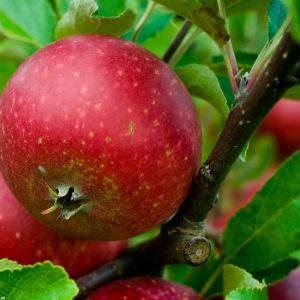 The flavour is crunchy, juicy and sweet. 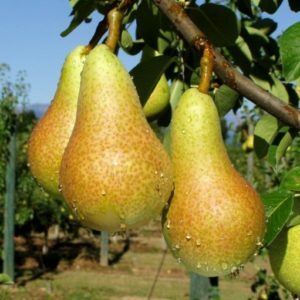 The pear keeps well. Harvesting season: late September. Cross between Rubin and Vanda created by Dr Tupy in Strizovice, Czech Republic. Scab-resistant variety. Early blossom time. 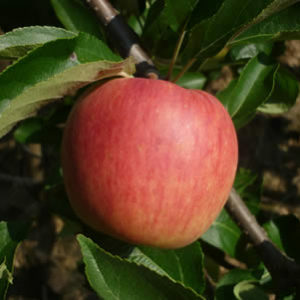 Medium size, flat-rounded fruit. Smooth skin, orange, striped flush. Pleasantly sweet-tart with a rich aroma. Harvesting season: late September, early October. Will keep into late April. 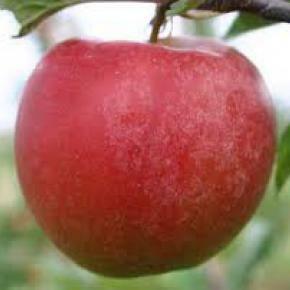 Mutant of Wilton's Red Jonaprince® which is darker and better, and changes colour slightly earlier. Its other qualities are identical to those of Wilton's Red Jonaprince®. 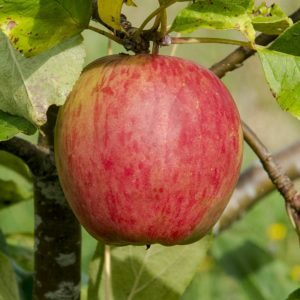 Striped, sweet, juicy summer apple. Cross between Elstar and Delbardestival. Harvesting season: mid-August. Will keep as far as late January. Alkmene x Delcorf Apache. Belgian provenance (Better-3-Fruit in Rillaar). Early blossom time. 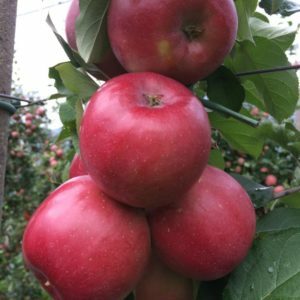 Good size grading and round fruits. Nice red stripes on a yellowish green background. Smooth skin and good sweet/tart balance. 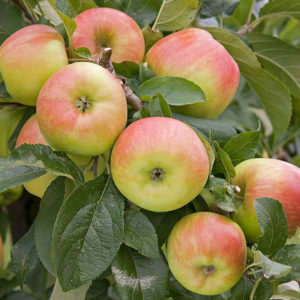 Very crunchy and juicy apple. Harvesting season: early August. Good storage life.